Well-respected blues and rock singer Kathi McDonald, who sang on classic albums by the Rolling Stones, Joe Cocker and many others, has died at the age of 64. According to Toronto Blues Diary, McDonald slipped into a coma on Tuesday and never woke up again. No cause of death has been revealed. She also appeared on recordings from artists as diverse as Freddie King, Rita Coolidge, Nils Lofgren, Dave Mason and Delaney & Bonnie, but was perhaps best-known for her 20-year musical relationship with Long John Baldry. The singer’s 1974 debut solo album ‘Insane Asylum’ included appearances from Aynsley Dunbar, Neal Schon and Ronnie Montrose, but after disappointing sales McDonald did not record another solo disc until ‘Save Your Breath’ in 1994. 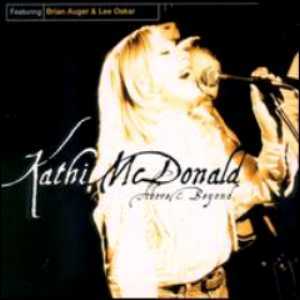 ‘Above & Beyond’ followed in 1999, and the self-titled ‘Kathi McDonald’ in 2003. In the last years of her life the singer performed with Kathi McDonald & Friends, releasing ‘On With the Show’ in 2010.